Personally tailored engagement with the prospects and clients that you want to work with – we build and nurture relationships on your behalf. 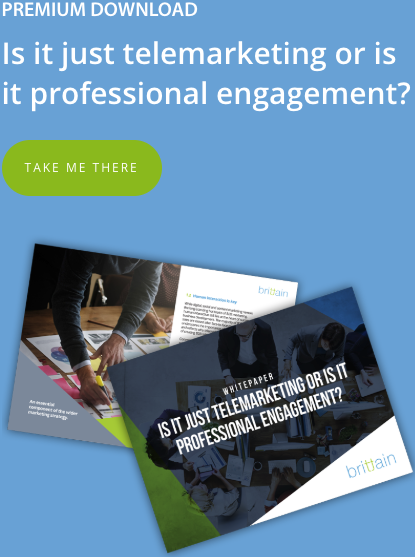 Brittain aim for the highest quality results using industry insights and a proven approach. 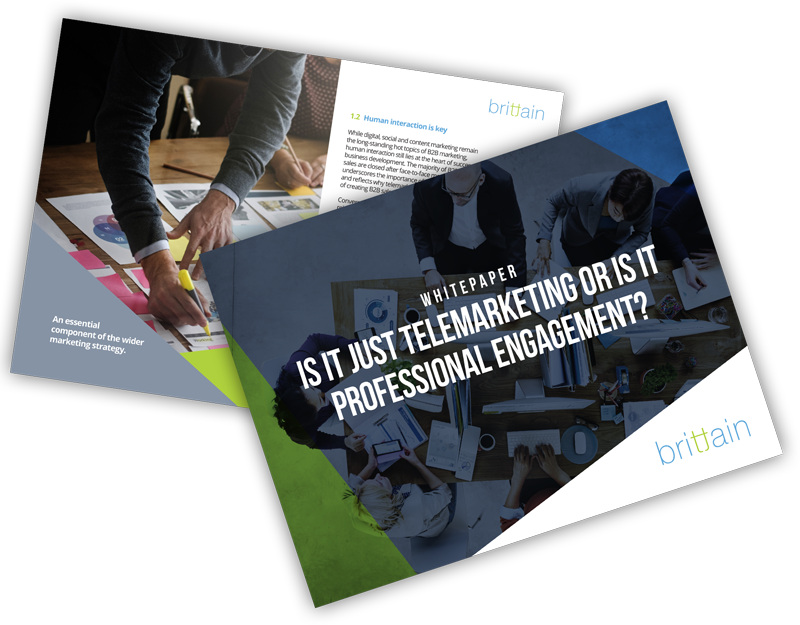 Outbound telemarketing is increasingly the most economical and effective form of direct engagement for generating and maintaining one-to-one business relationships. The right approach for successful telemarketing. Understanding market segments, prospect buying motives, procurement policies and business requirements is essential for driving sales strategy. Our insights division provides and supports market intelligence to ensure our clients have a real time competitive advantage. We deliver tangible opportunities and new business appointments to clients looking to develop and grow sales revenue. Through highly skilled engagement programmes, we help build strong commercial relationships with senior level decision makers to secure timely and relevant business meetings. Our retention programmes allow clients to further cement relationships with their portfolio of contacts. All campaigns are tailored & include both qualitative and quantitative response measurements. From customer surveys to client satisfaction campaigns, we gain personalised engagement that secures client loyalty. Access our premium content by providing your preferred contact details and unlocking key industry knowledge, insights and whitepapers. Supporting clients across 4PL, 3PL, domestic and international freight to secure new prospects in a variety of industries. We talk your language. Whether it's a full service proposition or a specialist offering, we develop bespoke campaigns that deliver results through meaningful new business meetings. We understand procurement models. Bespoke acquisition campaigns for key practice areas to grow market share within target industries. We focus on brand integrity and professional representation for our clients. Focused on IT solutions for a variety of business environments, we use industry experts that talk your language to develop tailored conversations that secure meetings with an identified need.